As 2010 nears (today is the day before New Year’s Eve) my mind drifts back to an end-of-summer odyssey I commenced on August 3rd. I had not been to my college town since 1976, and thought I should spend a few days on a road trip to Northeast Missouri to see if any Proustian ghosts still lingered. They did. At 6:59 a.m. I took several photos of this abandoned antique store in Winfield, Missouri on Hwy 79 north of St. Louis. 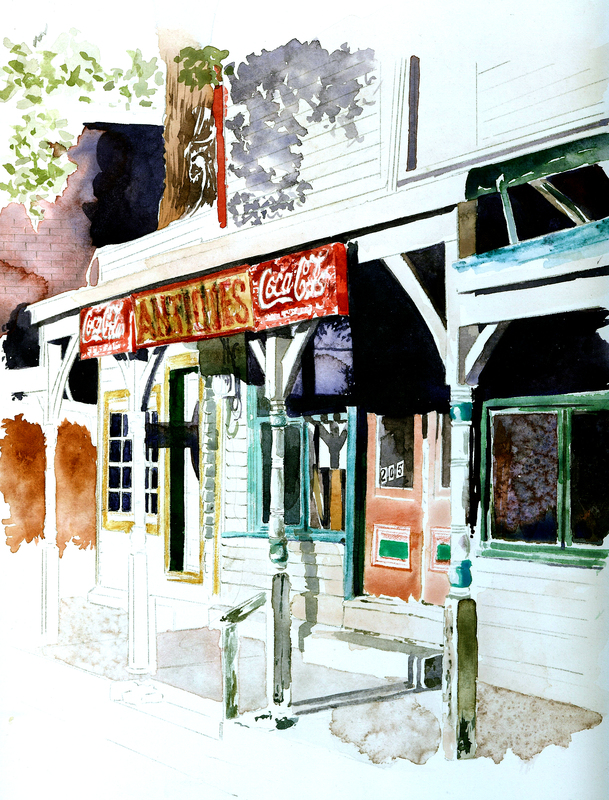 It is a Mississippi Riverfront town with its main drag lined with defunct businesses. The sun was coming up bright, it was 63 degrees and very quiet, and I couldn’t stop musing over this relic of a store that once hummed with commerce. The watercolor is not yet complete, but hopefully I’ll have it ready to hang by the first week of the New Year. 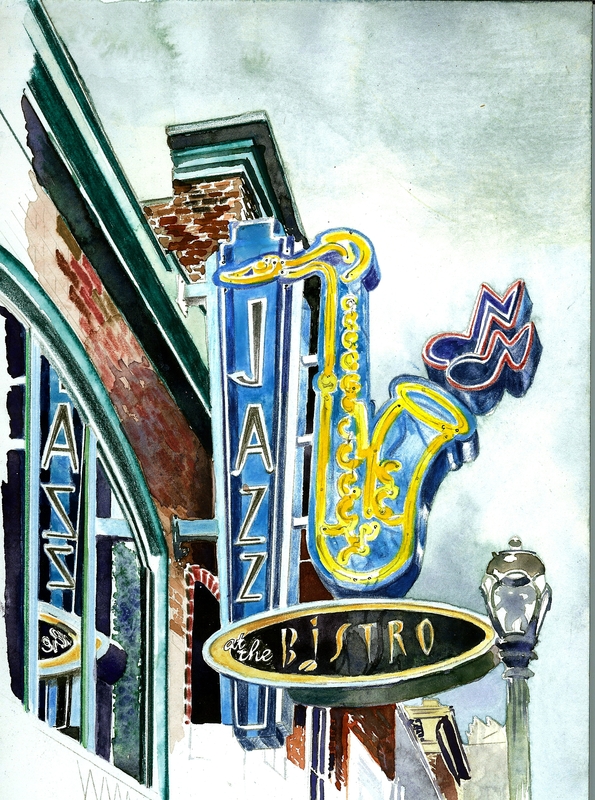 Here is a nearly completed watercolor I’ve been working on of a Jazz club, now defunct, in the heart of St. Louis near the renovated Fox Theater. While visiting family for Christmas, I put in some time trying to finish this up. I began it last summer (2009) and hope to complete it in January 2010 as my first 2010 painting to bring out.